If you’re looking for a Paddington removals service, White Man Gentlemen are the ones to call. We know it can be nerve-wracking to move house, no matter why you’re moving. We know that you want to get on with the enjoyable parts of moving house, so with our full packing, unpacking and set-up service, you need never lift a finger. We often find our Paddington removals clients have much more on their plate than finding the time to pack and unpack, which is why we’re all about providing a professional, personable service that deals with everything on the day. We can come and professionally pack your items before the move to streamline the process. Whatever you need for your move, you know that White Van Gentlemen has got it covered. We’ll give you the best possible quote, so call us today and find out exactly what we can do for you, no matter how much you’re moving. Our knowledge of Paddington is second to none. We have hundreds of delighted customers in the area, and we’re proud to say that our reputation is exemplary. What makes us different is our single-minded approach to your delivery, removal and storage needs. We’re all about making you happy, and are always willing to go that extra mile to make it happen. 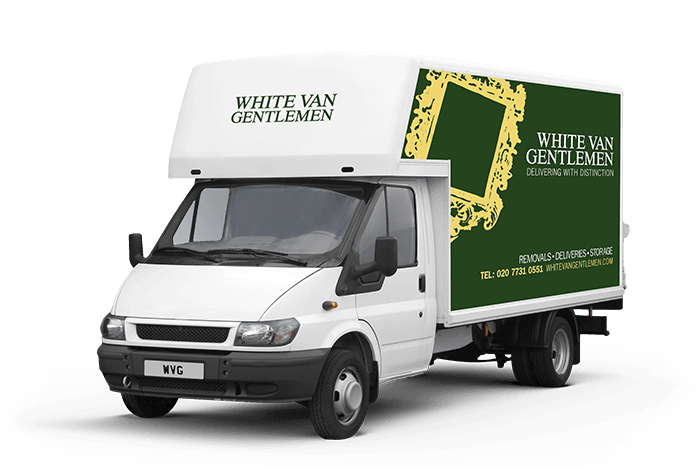 When you hire White Van Gentlemen, you’re getting the very best personable, professional service you can find, all at the best possible prices, so why take the risk with anyone else? Call us today and find out how we can give you complete peace of mind.